Zexion's XIII Falling Price Deal! Get Zexion [+] within 5 draws from this exclusive Deal! This Month's XIII Falling Price Deal has arrived, and this time you can receive Zexion [+]! Get him pre-strengthened to 5 Special Attack Dots within 5 draws from this Deal! Zexion [+] and Trait Medal #18 will also come with the powerful new skill, Paralysis+ II Max! When the skill's level is maxed out, it will always activate its effect to inflict Paralysis when you use the medal! NOTE: Please be aware that although Paralysis+ II Max will always activate upon using the medal, depending on the target's resistances, Paralysis may not be inflicted. 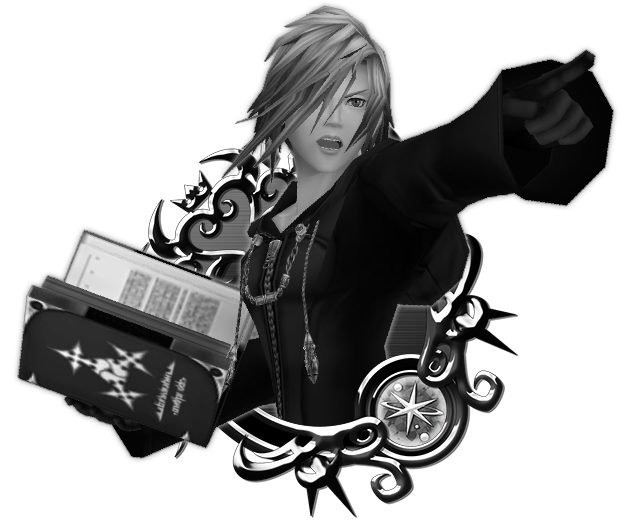 As you can also receive Trait Medal #18 for Zexion [+] both from the current NEW XIII Event and from this Deal, you'll be able to deck out your Zexion [+] with traits and power him up further! ・Zexion [+] will gain a new trait. ・Zexion [+] will gain one Special Attack Dot. NOTE: If Zexion [+] is already strengthened to 5 Special Attack Dots, the Trait Medal will unlock the Special Attack Bonus. Trait Medals can also re-roll Special Attack Bonuses if the Bonus is already unlocked. ・You are guaranteed to receive a Zexion [+] pre-strengthened to 5 Special Attack Dots within 5 draws from this Falling Price Deal! 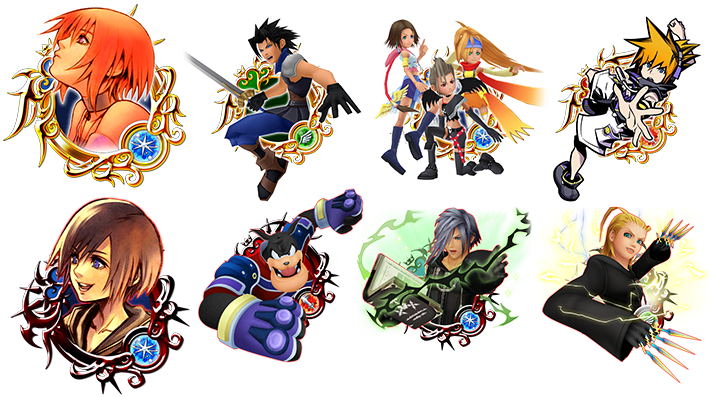 ・Should you receive Zexion [+] or Trait Medal #18, they will come with the skill Paralysis+ II Max at max skill level. NOTE: Zexion [+] will come with 5 Special Attack Dots. NOTE: Trait Medal #18 will come with 0 Special Attack Dots. ・Boosted Zexion [+]: 1,000 more base Strength and Defense. Face off against Zexion, but be warned--he gets stronger every time you defeat him! ・Each time you challenge Zexion he will grow more powerful, so be careful! ・Get Trait Medal #18 by defeating Zexion in certain quests to deck our your Zexion [+] with traits! The Advent of Prime Axel made this one soooooo much easier than the last two. I noticed he has Crits like Vexen did making outright Tanking him impossible, so it's a good thing I didn't need to. Man in Black and iKairi2 in the first two slots handled his little friends up to the later rounds when he started packing two, then iXEX and SG2 buffed while VaniHD copied Lex+ for Triple Lex+ and a friend's EA40 Prime Axel laid the smackdown. Was able to shave down his HP without running out of lives, and thank the gods that he has a Medal Counter and not a Hit Counter. That way Triple Lex+ ensured his Counter could never be used, giving me the full 3 turns. Got the title, all the Jewels, and decided to pull twice on Zexion's Banner to see if I could get the remaining Pet Points I needed. Lo and behold pull 2 has 2 ZackHD, giving me the final 96 Point medal I needed to reach Lv9 on my Pet. It is awesome, and I still have around 15k Jewels for when a Reverse Magic Prime shows up. Sweet. Is the Zexion medal worth pulling for? I haven't even bothered with the Axel Prime medal... Should I have? if you care about pvp or don't have Vexen + then I'd pull for Zexion, otherwise I'd skip, for Axel I'd pull at least one time for the -7 reverse def, more if you don't have Lex +. Even if you don't want to use 15k jewels for him you can always evolve his 6* with fairies, since it's only a guilt tier 4. Well, this was the first New Organization 13 + medal event that I was actually able to finish all the way through. I had to really go the long way around on the last #13, with Auron, and also boosting my defense and defense buffs, with two powerful hitters at the end of my keyblade set up (Fairy Stars). It took forever, but Xexion couldn't touch me after a few rounds. I just had to wear him down. Lol. And since I'd already done two lucky draws for the Xexion + medal, I decided to go ahead and pick up the final three. I have a good amount of jewels saved up. Not thrilled with the traits, but ah well. I actually had fun with this event. No head breaking math, thank God! Wish they would consider more like these that aren't excruciatingly and absurdly impossible. Do you have illustrated Auron? He does fixed damage independent from Enemy's defense. A medal that removes enemy's buffs might also help if you don't have him. Alas, the book Barrier Masters will not suffer damage unless with a fixed damage medal. If you have Auron, use it, or another fixed damage medal. If not, try for medals that dispel buffs. There are quite a few of those. Use them if you don't have Auron or a fixed damage medal. I had to play a heavy defense boos and defense buffs set up for the final two of this event, and just outlasted Xexion. It took a while, but I was able to get through all of it. Good luck. Maybe you can post your set ups here? Well, I waited and waited to do my PvP today in hopes of maybe securing a place in the top 3000, but nope, I couldn't even make it back into the top 3000 to begin with. I ended at something like 3015th place. It hurts. I really hate PvP right now. This is the second week in a row I couldn't get a gold ticket. You're lucky. I can't even get much Silver. I usually can't finish above 10,000. I am torn between continue playing or going cold turkey and just checking out. PvP, and the total focus on that and only that, has turned me off totally. Bottom line, it's all about spending money. PvP will force you into massive storage for medals. Money. It will force you to upgrade by any means, to 7*. Money. SENA is so blatant that they have completely abandoned the Story Quests. How can F2P players even stick around? I'm not 100% F2P, but recognize their plight and fight for them. I honestly don't think you can play this game without spending money on jewels, because you cannot play this game without spending jewels on banners. And the banners are endless. The fact that F2P exists proves that you CAN play khux without spending money. The key is being able to do what you are able and not mope when you can't. Yes, it's limited but you have to work harder to get better. Spending money is a shortcut. PvP is really curving the game toward P2P, though. For months we actually were fine playing F2P as long as we had Illustrated Kairi EX (which was not true for everyone). They really changed the banners for the better, where everytime you pulled you got really powerful medals. It was extremely easy to be F2P, everyone was passing the events and it was easy for even me to make top 1K in Coliseum. Then they made Kairi EX available much easier and it created a large power curve, but things were still manageable. Nothing made me want to spend money ever. But with this most recent update to 7 stars? Things have changed, massively. It's beginning to feel like the game back in 2016, where only the lucky and high payers were able to get anything in the game. PvP is a bit of a mess in particular because now if you messed up a week or two and didn't get gold tickets (like I did), then you are behind and can't catch up. The higher ranked people now have medals like 7 star Warrior of Light. Having the Prime medal of the week 7* with a powerful skill is also now pretty much a requirement (unless you have a bunch of powerful 7 stars like Warrior of Light already). And you can see from this week, they are making it absolutely no secret that you need that medal, because every single keyblade in this week's PvP is magic, just like the new Prime medal. Granted, I figured out why I messed up so bad last week: One of my Triple Threat medals was Man in Black. I forgot about what Man in Black did aside from set damage and set him after my buffers (part of the reason I did that was because I wanted to make sure if I got put to sleep in the turn before I could still have a chance of at least getting my Triple Threat off), and I ended up making the rest of that keyblade incredibly weak. I seriously might have won a lot more than I did if I hadn't done that because plenty of other people have very weak second keyblades, too. I just don't think I know how to play this game anymore. The focus has been 100% shifted to PvP and the 7* medals. If I wanted to play a player versus player, I wouldn't be playing KHux. I want story, some decent events, maybe some that actually drop medals...remember those?...and something that is fun to do. Fighting against fellow players is not fun. Being beat constantly is not fun. And don't tell me to play what you can play. There is nothing else. Only PvP. No HSCs, no Story, no nothing.